Download the Ignite Payments-Fairmed Clover Check Acceptance Service Agreement (six page PDF). Complete page one of the service agreement using your computer and then print it. In the first section, Services Offered, be sure to check the service(s) you desire: ECA and/or Paper Check Acceptance. See below for information on these Clover Check Acceptance services. Complete the Services Offered (including Service Provided To: and Bill To: subsections), Funding Information, and Reference and Credit Check sections. Do NOT enter any information in Service Fees and ECA Processing sections. We will complete these sections with you as part of the interview process. Print and sign your name at the bottom and provide the data required including the date. NOTE: Either before or after printing, we highly recommend you save a copy of the service agreement as a backup. On a blank check with the same business name and account data that you listed in the Funding Information section, and where you wish the deposits to be made, print VOID on the check. Fax the completed service agreement (all six pages) and the voided check to: (714) 838-8032 for initial review. We will contact you to discuss and complete the remaining sections. Your application will then be sent to Clover Check Acceptance for processing. Who is Clover Check Acceptance®? Clover Check Acceptance provides industry-leading check acceptance, check processing and risk analytics services to thousands of retailers and financial institutions. For nearly 40 years, Clover Check Acceptance has safeguarded businesses and financial institutions from check-related losses and fraud. Accepting checks has never been riskier; with Clover Check Acceptance, however, retailers are still able to offer check acceptance to consumers as a safe and secure payment option for purchases in stores, online, and over the phone. What is the Clover Check Acceptance ECA® service? The Clover Check Acceptance ECA Warranty service is a comprehensive solution for check acceptance, incorporating authorization, settlement and collections. With this solution, paper checks are converted into an electronic transaction at the point-of-sale. The Automated Clearing House (ACH) network is used to process the transaction and fund the account, generally within two business days. With the Warranty service, returned check processing and collections can be managed by Clover Check Acceptance, saving you time and money. With Clover Check Acceptance’s ECA Warranty solution, you can effectively reduce the risk of accepting paper checks, decrease bank fees, lower operating expenses and improve cash flow through faster funding. Why are businesses using the Clover Check Acceptance ECA service? 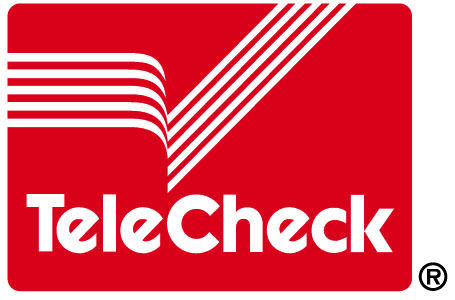 Clover Check Acceptance provides the Clover Check Acceptance Electronic Check Acceptance service so that businesses have the opportunity for increased efficiency, reduced risk and higher productivity, all of which eventually benefit you—the consumer.